Another piece that started out as a concept sketch, trying to figure out what Harcos look like from behind. A black & white version of this drawing was featured in the 2015 Queers & Comics Conference playing card deck fundraiser. 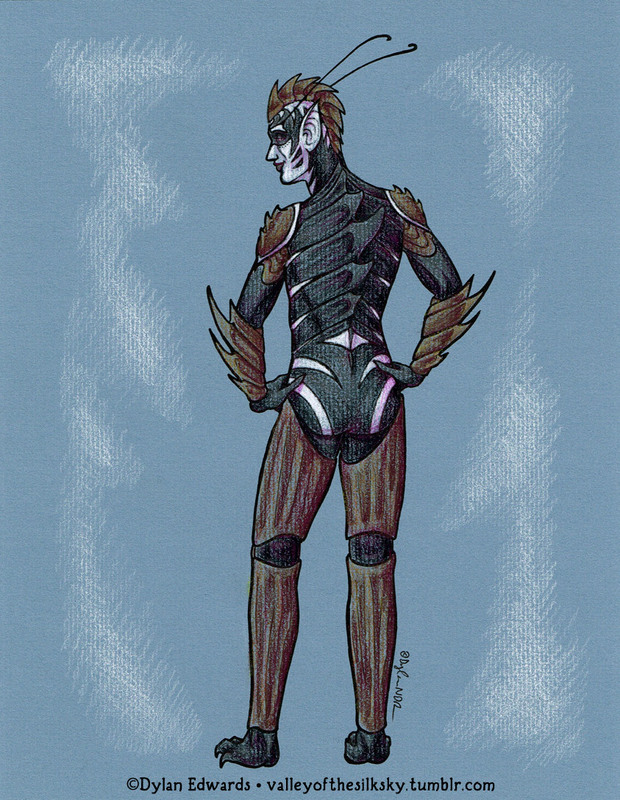 This particular version is ink lines printed out onto blue charcoal paper, and then hand-colored using colored pencil.